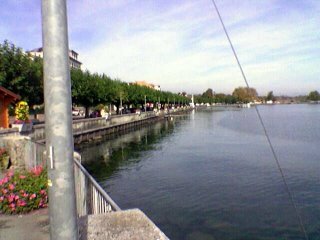 Sitting by a lake again, this time Lac Geneve, or Lac Leman if you are from Lausanne. My client has their head office in Nyon, and it is time to present to the powers that be. I flew to Amsterdam as usual, then a quick hop up to Geneva, and another 30 minutes by car to the hotel. The weather is beautiful, there are swans on the lake, and I am flooded with memories. I went to school for one year in Lausanne, just another 40 kilometers along the shore. Truly a beautiful place.